This is the most important discount to receive up to 30% lower rates on your auto insurance. If you have maintained an auto insurance policy for at least six months, every *standard auto insurance company will place you in one of their better programs. The levels of different programs are sometimes called Tiers. Young America Insurance Company will give you even bigger discounts if you had the policy up to 36 months. 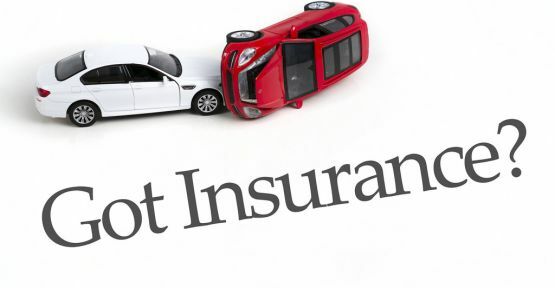 Some people dispose of their auto insurance policies after the policy has been canceled. This is a big mistake. For example, suppose you had a policy effective January 6, 2017 and expired on January 6, 2019. By supplying the Declaration Sheet (the cover part of the policy) to the Young America insurance, you can receive a sizeable discount. The following is an example of how much of a discount you can qualify for. *Remember you can even qualify for $20 down payment car insurance. Typically, you would supply the Declaration Page at renewal or before the policy expires. So on January 6, 2017 you apply for auto insurance with another company. Present your Declaration Page and receive your discount. But what if the policy had canceled in October of 2018 for non-payment? Can you still use the Declaration Page? Some people still use them because insurance companies cannot check every Declaration Page to see if the policy is active. Young America Insurance as many others companies receive hundreds and thousands of declaration pages a month but are not able to check them. It would not be profitable for them to call every company to check for coverage. In addition, a company like Young America Insurance or an agent does not have enough time to respond to every inquiry. So, if you want a possible prior insurance discount, save your policies up to five years. Another tip on keeping your Declaration Page is for your finance company. What does it mean? Some finance companies require you to supply proof of insurance for the entire finance period. So, if you have a four-year note, you would need four years of auto insurance policies as proof. If you do not supply proof, you may not receive your car title, unless you pay for the lapse of coverage, or gaps in your coverage. The charges for auto insurance supplied by the finance company can be very high. How would you like to get charged an extra $2,000 to $3,000 before you receive your title? So keep your declaration pages and save money. Also, if you cannot find your Declaration Page call your agent. Some companies still send duplicate policies to the agent. The more air bags the bigger the discount. The discount is not a total discount on the entire premium, but it will lower your first party benefit rates. This can allow you to purchase more medical payments or income loss coverage. Passive seat belts are seat belts that automatically go into place by closing the door. Passive seat belts were installed in many cars starting in the late 1980’s. Some owners or car dealers disable them unintentionally before selling vehicles. The best way to check to see if your car is equipped with passive seat belts or air bags is by having the auto insurance company check your VIN# for company installation. Your VIN number, if you did not know, gives you a lot of information about the vehicle. Ask your agent, if he has an ISO Manual that explains the numbers and letters in your VIN number. By having two or more cars on the same policy you can save up to 20% of the entire premium. Goodtogoinsurance.org will give you up to 10% savings by proving that you are a homeowner. Documentation such as homeowner’s policy, deed, water bill, may be required as proof. Companies that sell more than just auto insurance will offer an additional discount if you purchase homeowners, renters, boat, and even life insurance from there company. Companies will apply up to a 5% discount off the entire premium if you pay the entire modal premium. If the policy is a 6-month policy you can save up to 10% on your premiums a year. You can save up to 20% off your Comprehensive Rate by installing a Passive Alarm System or LoJack on your car. Passive Alarms do not need to be activated by a remote. Now, since a few years ago, they are activated automatically be closing your car door. An individual can receive this discount upon reaching the age of 55 and completing a driving improvement course. The State Department of Transportation or AAA usually gives the course. This discount applies to high school and college students. Different companies offer different discounts. One company may give the parent a discount if the student lives on campus whereas another company might give the student a discount if they maintain an A/B average or higher. Check with your insurance company to see if they offer this type of discount. Any and every discount is helpful. Some companies like Young America Insurance will give you up to a 5% discount of your total premium for being a member of AAA. Having anti-lock brake systems on your car will qualify you for a discount. This discount will vary from company to company. The agent or company enters your VIN number in the system to determine if your vehicle has ABS. Contact your credit union to see if they have an arrangement with any auto insurance companies. Some credit unions have group auto insurance. Many auto insurance companies give this discount if you have had a clean driving record for at least three years or more. The Senior Citizen discount, as it was previously called, is now starting as early as age 50 with some carriers. The reason is that many people are retiring earlier and changing their life style. Some companies will give a married rate instead of single rate if you have a child or children. This discount could save you up to 20% off your rate. Young America Insurance will sometimes give you a discount if you complete one of these courses. This is especially good for young and new drivers to help lower their premiums. But with rising auto rates every driver should take a course. You can go online for as little as $30.00 a take a defensive driving course. Young America will give you a 5% discount with prove of completion, usually a copy of a certificate. This discount is valuable on the anniversary date providing if the driver has been accident and violation free for the previous term. The discounts given as an incentive to stay with Young America Insurance Company.